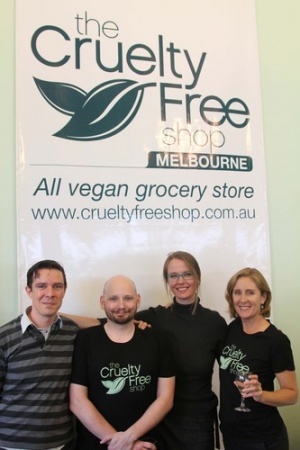 There's a new vegan store in Melbourne and it's the Cruelty Free Shop - located at 385 Brunswick Street, Fitzroy - in one of the vegan hubs of Melbourne, right next to Lord of the Fries and opposite Vegie Bar. 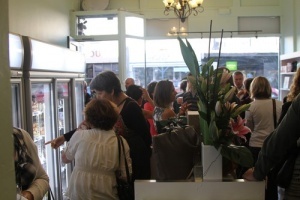 This new Melbourne store opened to the public over the weekend. 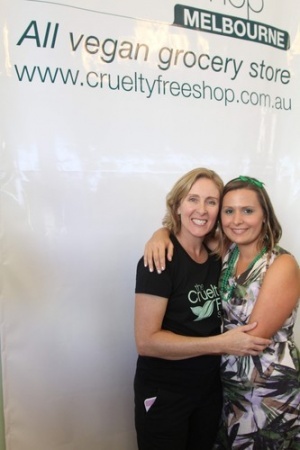 The Cruelty Free Shop has been run by Jessica Bailey since 2001 - it was Australia's first all-vegan online store! 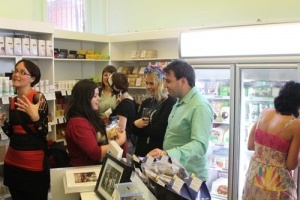 In 2012 Jess decided to open a shopfront in the Sydney suburb, Glebe. 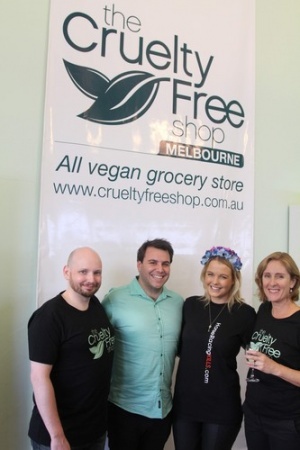 This year she is adding Melbourne to her cruelty-free empire. I was excited to venture to Melbourne for the opening night on Thursday, seeing a lot of my interstate friends - most of whom I haven't seen for 2 years as I've been overseas - and meeting some other great people. 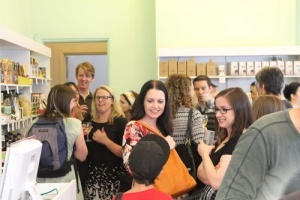 Here's some photos of the opening. Mr Nice Guy made the food for the night consisting of cinnamon scrolls, cupcakes, pretzel dogs, cheese and spinach scrolls and bagels. Sparkling water plus white and red vegan wine from Yalumba was also served. Sundara de Silva took most of the following photos on the night - other photos by Noah Hannibal noted. 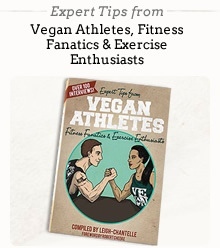 It was definitely a collection of the who's who of the vegan Melbourne scene! See the FaceBook photo album here. 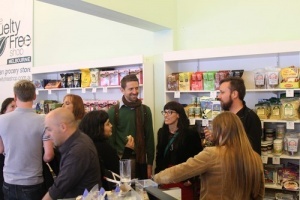 Make sure you check out the store the next time you're in Melbourne at 385 Brunswick Street, Fitzroy. 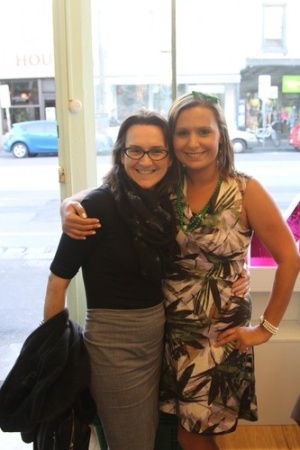 Also, if you're in Sydney (where I now am) visit the Sydney shopfront at 83 Glebe Point Road, Glebe. Anywhere else? There's always online!